New Homes for sale by Cheldan Homes offers homes in the Dallas and Fort Worth metroplex. Choose from a variety of home communities with prices to fit any budget. You will find the builder uses green building processes during new construction, in order to make your home less expensive to maintain. Energy-saving appliances are found in every new home. They are also known as an Energy Star Certified Builder. Energy Star homes are 20 to 30 percent more efficient than regular homes. They offer a ten-year structural warranty on every new home they build. You will find they offer excellent customer service to ensure the quality of your dream home. 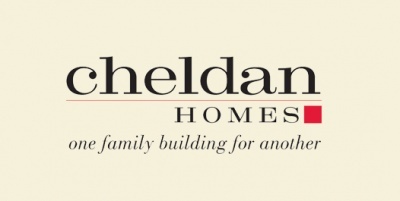 Cheldan Homes offers three & four-bedroom homes at affordable prices. New homes for sale in the Dallas and Fort Worth metroplex gives you a variety of choices for attractions, shopping and dining. The Dallas and Fort Worth metroplex offers world-class museums, live music and ample nightlife. You will find Cheldan Homes located throughout the metroplex that offer good schools and community programs. The DFW metropolitan area also offers entertainment districts, arts and culture. The DFW Parks and Recreation Departments maintain hundreds of miles of parks, scenic trails and area lakes. They also offer classes for adults, children and senior citizens. The DISD offers award-winning teachers and staff. You will find school district information on their website. They serve students in pre-kindergarten through high school. You will also find organized sports, choir and music programs. Bus routes and schedules are also listed online. Choosing a new home is an exciting experience. Once you have been approved, new construction will begin on your home. Living and working in the DFW metroplex offers many community activities and volunteer opportunities. Recreation programs promote health and wellness for all residents. You will find summer playground camps, youth sports and adult programs. The community also offers programs for at-risk teens. You will find a large variety of organized sports that develop self-confidence and teamwork. Adults can also participate in organized sports teams. The Parks and Recreation Departments offer many playgrounds, sand lots and scenic trails. Living in the DFW metroplex, you will find so many things to do. There are many low-cost and free activities found here in the DFW metroplex.